Team manager Helen Hewlett is first left. 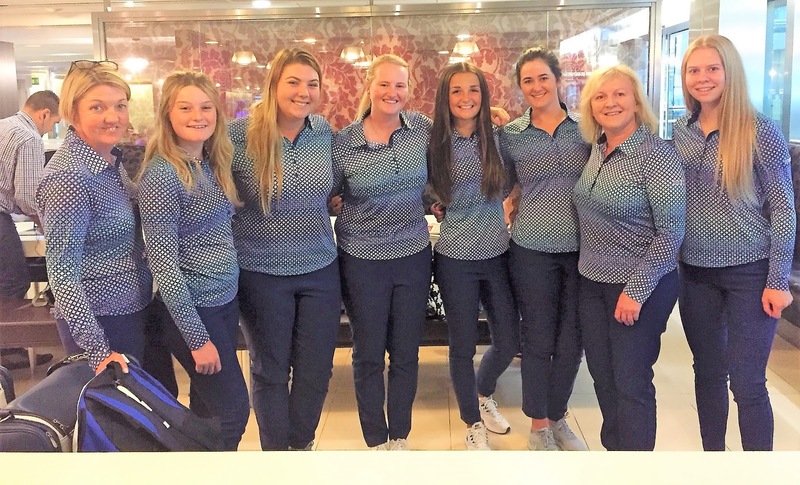 Team captain Elaine Farquharson-Black is second from the end on right. 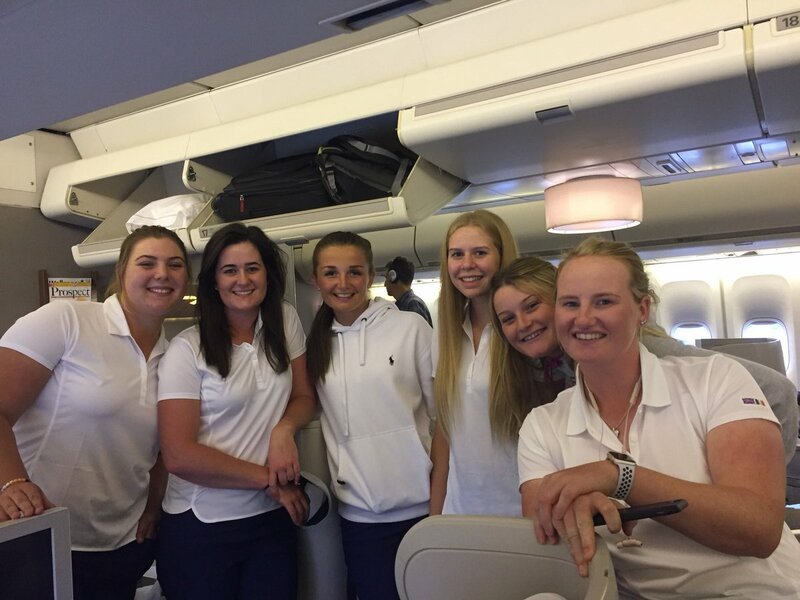 Elaine Farquharson-Black and the GBI and I Curtis Cup team for Quaker Ridge were due to fly from London to New York State on Monday but for some unknown reason the flight was cancelled. See more of Elaine's comments below. 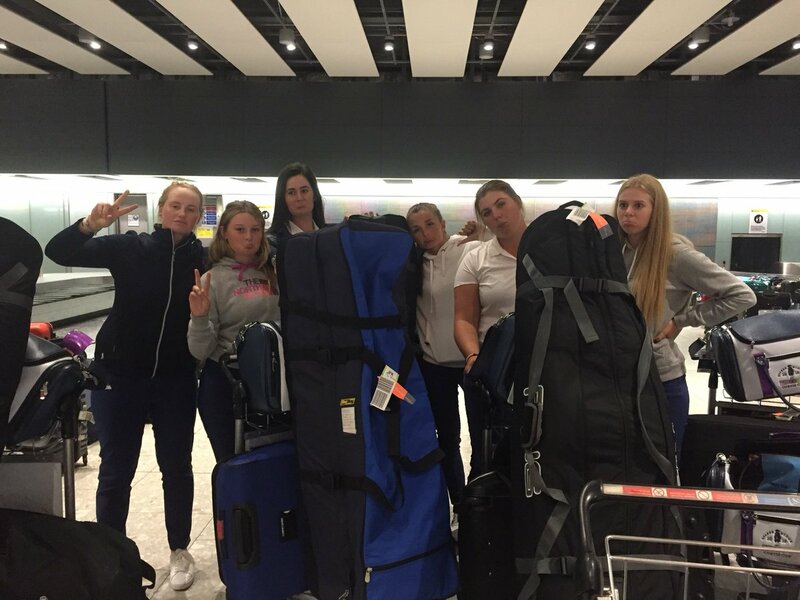 We take it she is not impressed by British Airways!